The boom of accelerators in Europe, and Berlin in particular, is a well-reported phenomenon. One thing that isn’t so clear – especially when looking at newly-launched startup programmes – is how much they actually contribute to their participants’ success. That’s something Europe-wide accelerator Startupbootcamp is keen to change. 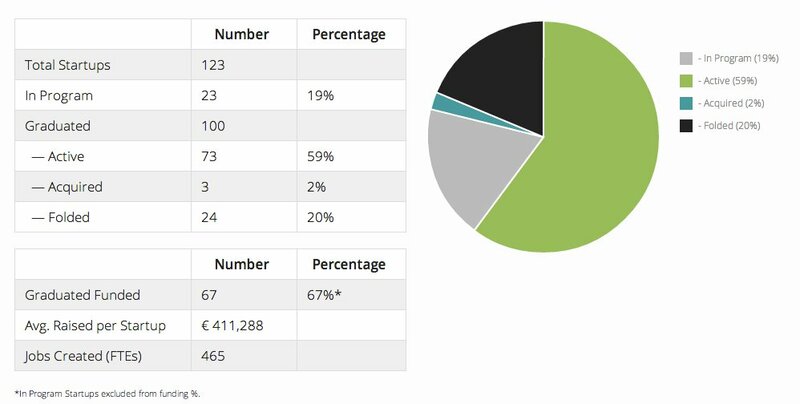 In an effort to bring more transparency into its own programme, Startupbootcamp has released a round up of its statistics since being founded in 2010 – from the average amount of funding raised to the number of startups that have folded. 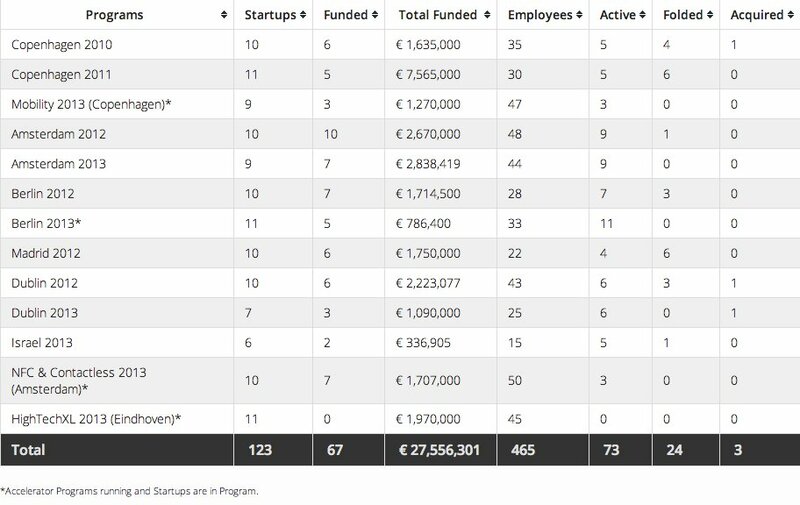 Companies participating in Startupbootcamp’s 13 programmes across Europe and Israel have raised a collective total of €27m – or an average of €400,000 each, with a 67 per cent likelihood of receiving funding post-programme. And although the startups coming out of the accelerator are still young (the first programme was around three years ago) so far the stats look pretty good as far as failure is concerned – around 80 per cent are still active one year after graduation. Copenhagen is the most successful city when it comes to fundraising, startups in one programme raised over an impressive €7m. Berlin lags behind, with companies from the inaugural 2012 programme raising close to €1.7m collectively. As for graduates of the recently completed second programme, Startupbootcamp is still waiting on the final numbers. It’s a good idea and here’s to hoping other accelerators and incubators follow suit and release stats of their own – that could make the decision process easier for potential participants. For all the stats, check out the images below (click to enlarge). 2013 – the year of the corporate accelerator?